156 pages | 60 Color Illus. 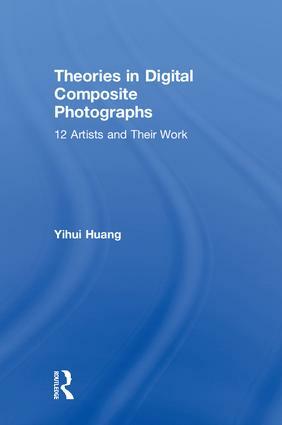 Theories in Digital Composite Photographs: 12 Artists and Their Work presents a theoretical investigation of digital composite photographs through philosophical exploration of artists’ concepts of reality. With an international cohort of contemporary digital composite artists, this book presents twelve cases studies on artists’ motivation, production process, and the relation of their worldview to theoretical interpretation. Author Yihui Huang situates each artists’ work in the context of photographic theory and western aesthetics, including realism, expressionism, formalism and postmodernism. As creation of digital composites grows in popularity and influence, this is the first to integrate a philosophical and theoretical understanding of this unique art form. Featuring a wide range of international artists, this volume is both insightful and inspirational for student and seasoned professional alike. Yihui Huang is Associate Professor of Digital Media Technologies at East Stroudsburg University of Pennsylvania, PA. She obtained her doctoral degree in Art Education from The Ohio State University. Her research focuses on theories of photography and digital photography aesthetics. Dr. Huang has presented her researches at national and international conferences, including National Art Education Association (NAEA), Society for Photographic Education (SPE), and International Society for Education through Art (InSEA).